Perfect North Slopes is a ski area in Southeast Indiana offering Skiing, Snowboarding and Snow Tubing. We offer ski and snowboard lessons, equipment rental, delicious food options and a ski lodge where you can swap stories about your day on the snow. 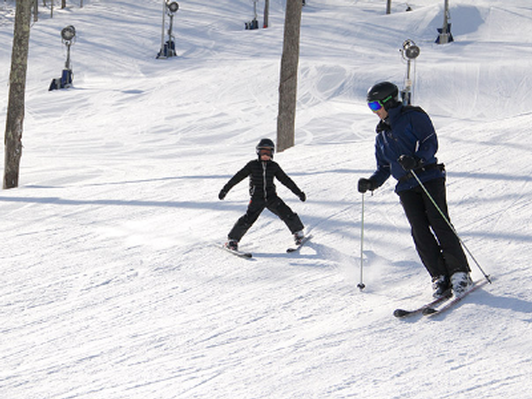 Perfect North is a great place for friends and family to experience Winter, and we hope you join us on the snow! Each Certificate is good for either 8 hours of skiing/snowboarding OR unlimited Snow Tubing, Monday through Thursday.